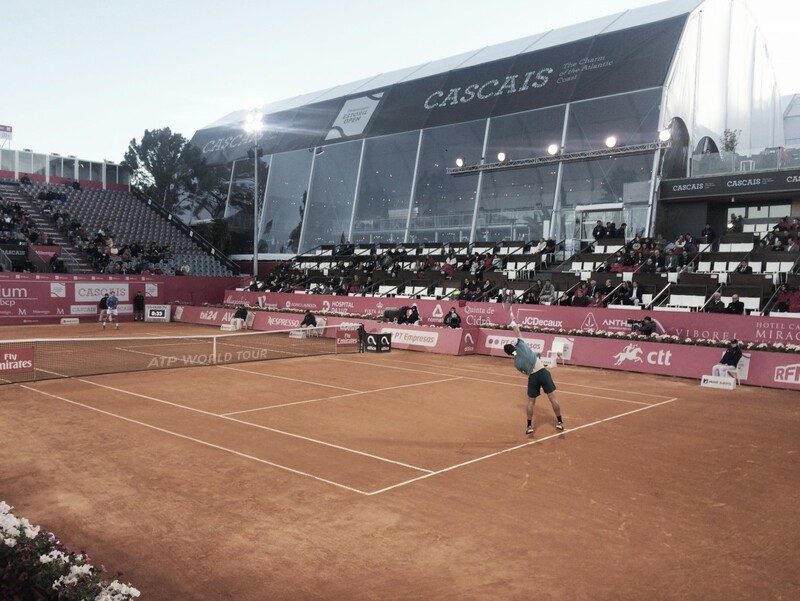 It's come to an end the sixth day of the Millennium Estoril Open. The players commented on their matches. 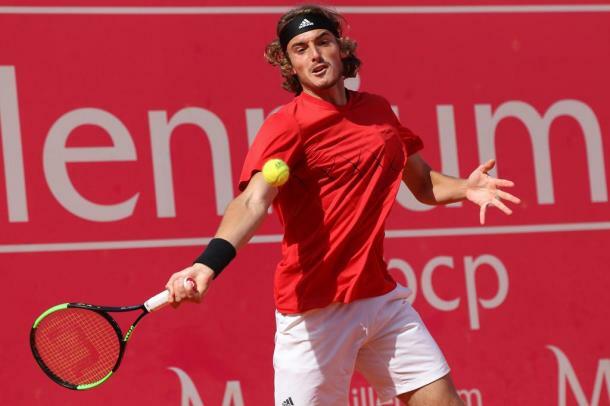 Roberto Carballes Baena came back from a disadvantage of 2-5 in the third set to get the win and pass through the quarterfinals. The Spanish was really happy about it. "I'm very happy. It was a very tough match with very long points in the first set. In the third set, he was a little bit more tired." 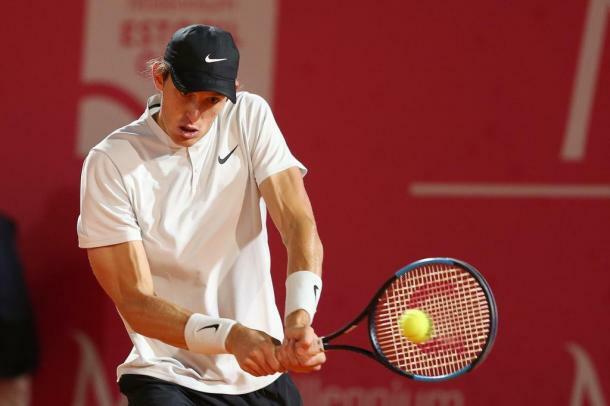 The world number 44, Stefanos Tsitsipas, defeated the first seed, Kevin Anderson in three sets to continue his good form, which took him to Barcelona final. During the match, the wind was blowing really hard and the Greek felt some difficulties due to it. "It felt awkward. We both didn't play our game I believe. Due to the wind, a very strong wind, which kept us playing a bit out of control and making a lot of mistakes. It's tough with all the wind. It's one of the toughest things when you play tennis. You need to stay calm and try to focus more than usual on the ball, it's very important, so you have your eyes a hundred percent on the ball because it's moving all the time, so that's what I did." About the key for today's success, he said: "I tried to concentrate on the ball and forget about the other side of the court and it helped me at the end of the match, and I broke him twice in the last set. Very good return games from my side. Being calm during the match helped a lot, I had many thoughts in my mind and I executed them the right way." Stefanos was mentally very strong and relaxed as he said in the press conference: "I actually became more relaxed after the first set. I was a bit frustrated on my mind but at the same time, I managed to release myself. It's obvious I needed to fight even though I lost the first set I became a little bit like I didn't care, and it helped." "Then, during the match, when I got the first break I was really pumped and I said to my self "now is the opportunity, now you can actually win the match, the one you thought it's impossible to win, now you are over him and everything is going to be ok", he added. Pablo Carreño Busta defeated Nicolas Kicker and after being down 3-5 in the second set, he recognized the first matches are always tough. "It's always important. The first matches are tough, it's always not easy to start a tournament, in particular with a player who plays very well on this surface, and it's very dangerous." About the way he played, he says: "I think my level of the game in the first set was very high, and in the second set I dropped a little bit the intensity, I stopped to be aggressive and he started to play more comfortable and better, however, I think in general I'm happy and for the next matches I hope to continue improving my level." 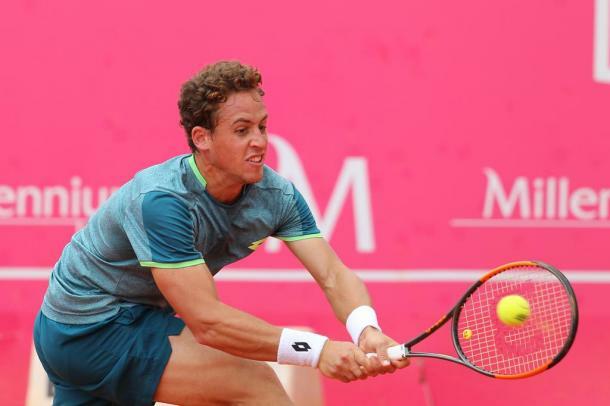 Nicolas Jarry recovered from 1-5 down in the tie-break to win the match against Ricardo Ojeda Lara in straight sets. He was very happy with the way he mentally stayed. "I'm very happy. I was able to be fine mentally and I couldn't close it when I served in the second set, but I turned around the tie-break what in those conditions it was not an easy thing to do."